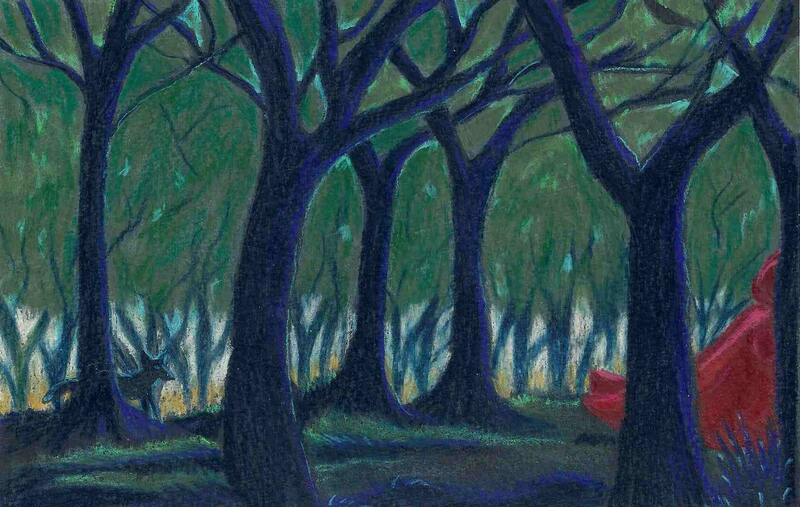 This is my interpretation of Little Red running through the woods in a great big hurry so all you see is a flash of red! She has walked this trail many times, but today felt different somehow. It was darker, for one thing. And she had the odd feeling something or someone was following her! Well, look to the left...there he is! But I ask you, is he going to harm her or is he there to protect her? This will be printed on 8 1/2 x 11" Epson Premium Ultra photo paper. I'll back it with matte board to keep it from bending and slip it in a cello sleeve. My signature will be on the front right bottom corner. The image itself will be approx 9x6 after I center it and leave a border.